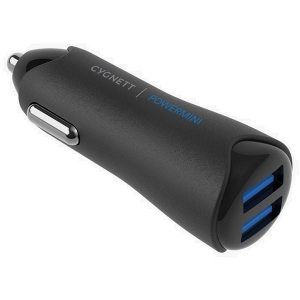 Streamlined and compact, the PowerMini 4.8 is a convenient and easy to use charging device for your car. It provides you with 4.8 Amp power resulting in a 40% faster charge than a standard 1 Amp charger. The PowerMini 4.8 offers incredibly fast and convenient charging for two devices simultaneously such as your smartphone or any device that charges via USB cable. The PowerMini 4.8 always delivers the maximum power required utilising the latest in smart charge technology no matter what device is connected. • The PowerMini 4.8 is compatible with all devices that charge via USB cable. From smartphones to tablets, Go Pros and Fitbits and many more. Power up quickly and powerfully.